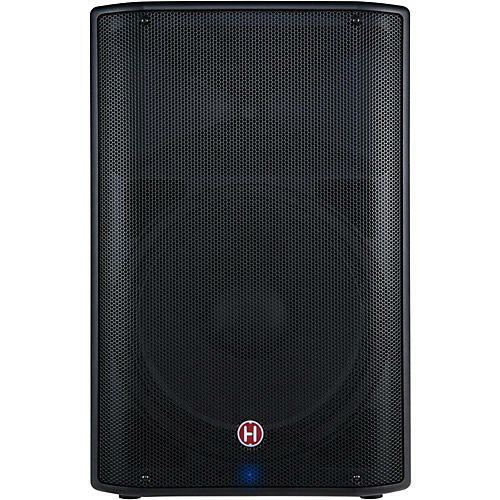 The Harbinger VâRi V2215 multi-purpose loudspeaker is equipped with 600 watts of clean, articulate Class-D amplification, a new cabinet design with a more modern, angular look, and convenient electrical/acoustic design features. An optical-limiter offers quicker response to potentially damaging transient peaks and preserves better audio detail to the input signal. A defeat-able LED on the front of the grille makes it easier to recognize clipping issues quickly. Plus, this 2-way system features a built-in 3-channel mixer, 2-band EQ and pole mount. And with its XLR balanced line out, you can hook up multiple speakers.